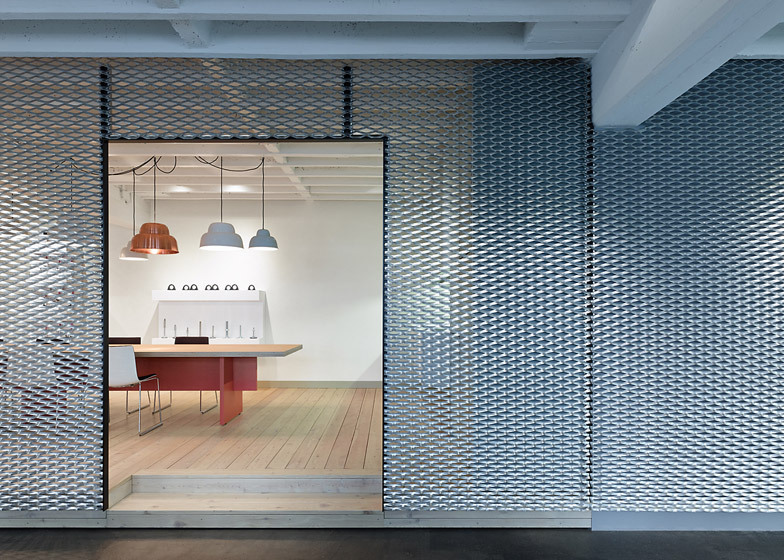 Alexander Fehre used aluminium-mesh partitions and metal light fittings to suggest an industrial aesthetic in this showroom and office for a conveyor-belt company in Germany (+ slideshow). 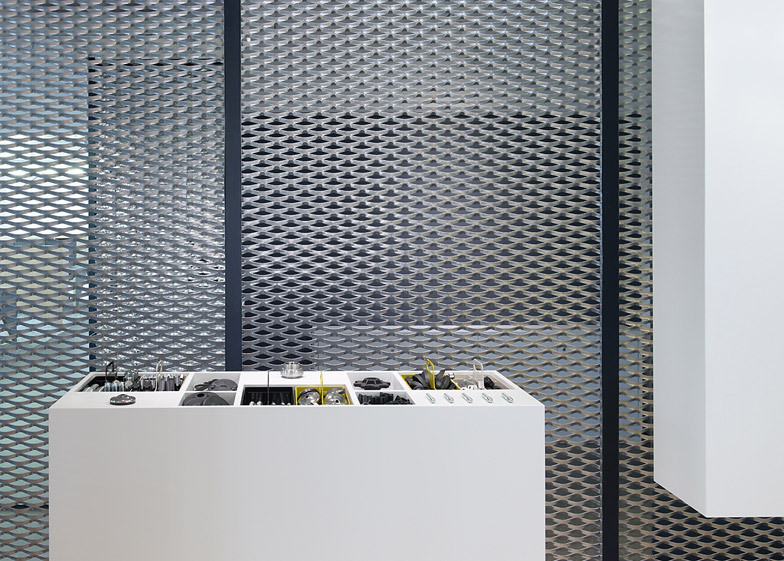 "All parts of the interior were designed with the function as first demand," Fehre told Dezeen. 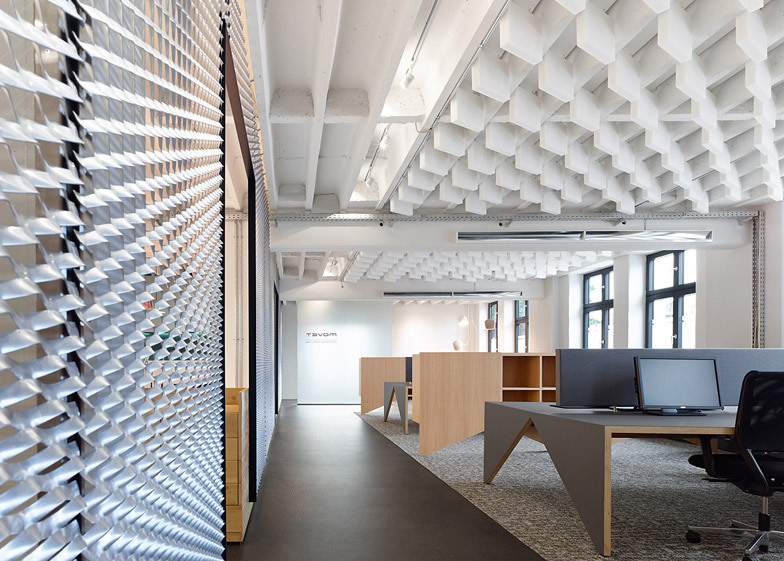 Panels of aluminium mesh also enclose the meeting space, creating a corridor that runs between the platform and a row of desks for the company's employees. 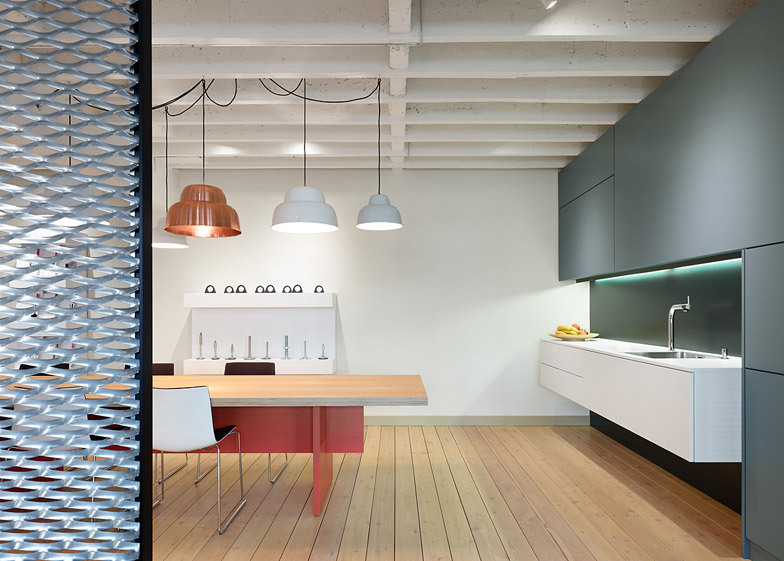 "It has a subtle filter effect for the open-plan space," said the designer. The designer said he chose the material as many of Movet's clients have a metalwork background. "It is important that they feel comfortable and related to the industry they are working in," he said. 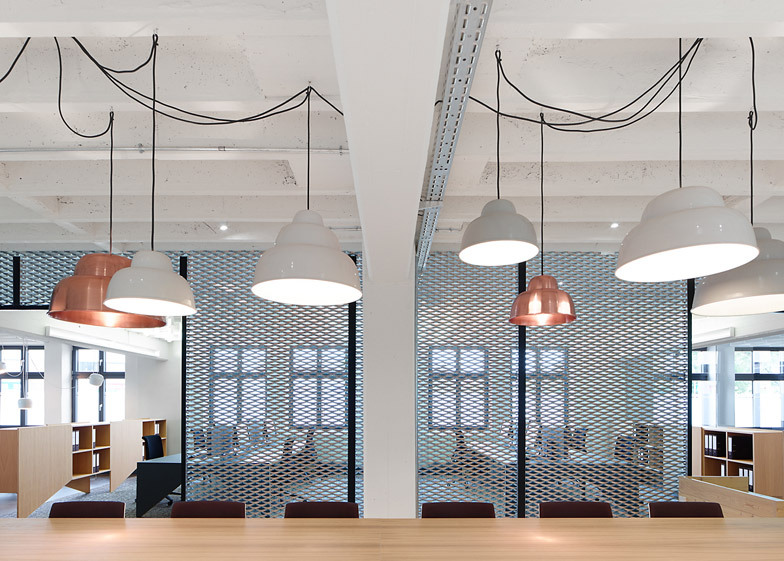 The large metal shades contribute to the office's industrial feel. The company sells mainly online, meaning clients do not often visit the offices. 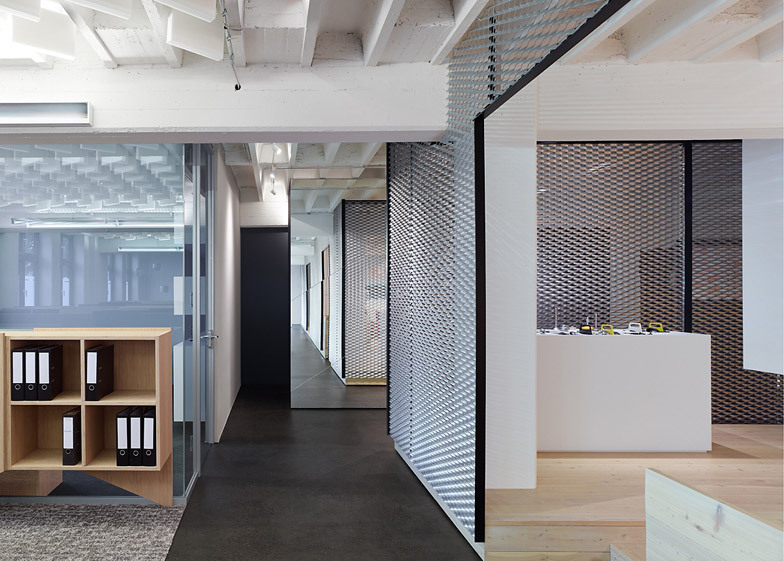 This allowed Fehre to retain a predominantly open-plan layout for the offices, with a showroom at its centre that makes clients "part of the action". 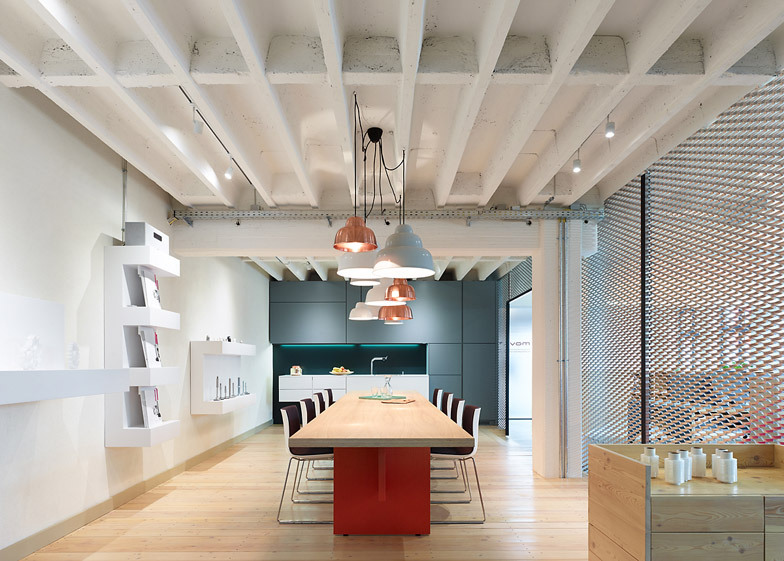 "My idea was to put the showroom and conference table right into the heart of the office – the so-called Movet Workshop. 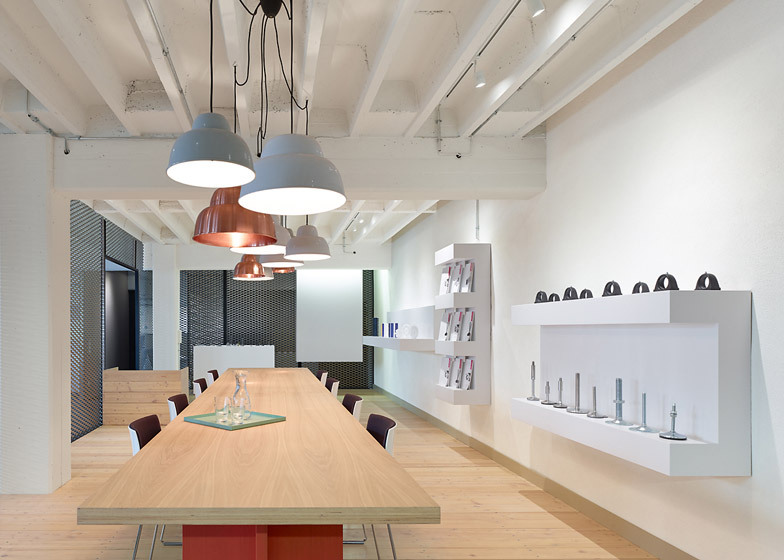 The result is a generous room for the team and a down-to-earth and hands on showroom for the clients," said Fehre. 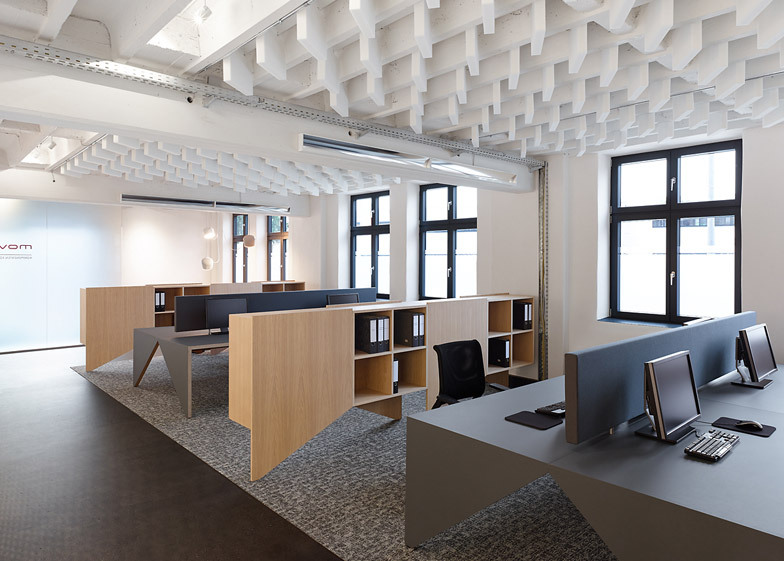 "This repetition, paired with an easy to handle surface material, makes the units cost-efficient, while resonating with the theme of industrial production," said the designer. "The idea was to use the baffles in a special way to emphasise the relation of Movet to the conveyor belt industry. 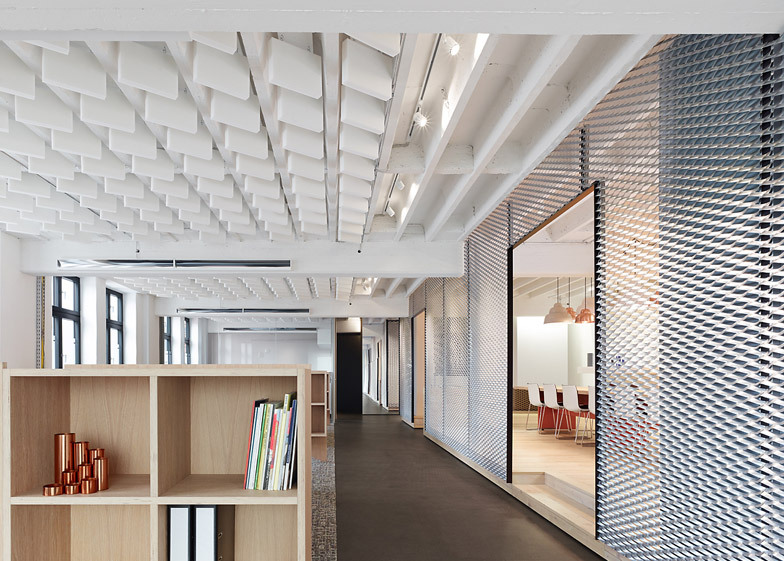 Therefore, they are designed as one running pattern over the whole workplace area," said the designer.